Almost all people today have credit cards that they use in paying for everything they see, purchase, and the other things they need to pay for. There are indeed many people today who are depending so much on their credit cards especially when they want something. But most of the time, these individuals are very careful on what credit cards they use since there are so many kinds that banks are offering. The better credit card you have, the more rewards and perks you can avail of. For those who are still planning to get a new credit card or just want another one, the U.S. Bank Visa Platinum Card may be something worth looking into. The card provides a prestigious buying power anywhere card holders will go. This credit card is offered by U.S. Bank which is known as the 5th biggest commercial bank in the whole of the United States and offers the best services in terms of financial needs and businesses. The new U.S. Bank Visa Platinum card is the perfect choice for those people who are always using their cards. Why is this so? It has a special introductory of 0% APR on any purchases the owner will make within the first 12 billings. After the 12 billing cycles, the credit card will have a variable APR running from 9.99% to 23.99% depending on credit worthiness. The better your credit score, the lower the APR cardholders will receive. The other benefits of the U.S. Bank Visa Platinum card is that people can use it for paying for their bills online. Another benefit is that the owner of the card will have automatic rental car insurance with no extra cost. This is very useful for those who are always traveling and renting cars wherever they will go. And the last is that the platinum card is will protected against fraud which is very important especially now that there are so many hackers and criminals. So with all these benefits, why not get your own U.S. Bank Visa Platinum Card today. 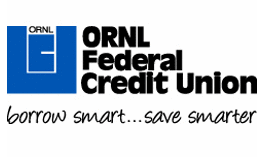 For a limited time only, ORNL Federal Credit Union offers one of the lowest credit card APR in the country. When you get your very own Visa Platinum credit card, you can have the freedom of making purchases without the unnecessary high rates. There is a lot more to credit cards than the purchasing power that comes with it. Credit cards are also useful for making balance transfers from one account to another, as well as handing over or accepting foreign transactions. However, with all these benefits, there is a drawback that comes from the interest rates each and every transaction incurs. The best thing about ORNL’s Platinum card is that for a period of 12 months, you can get to enjoy a cut-down APR of 3.99%. This great offer only becomes available once you are able to make zero-fee purchases, cash and balance transfers within the first 60 days of owning your Visa Platinum card. Once you’re qualified, you will then be eligible for the low-APR offer for a whole year. After this promo period, the APR resumes the usual variable APR. This Prime rate APR varies upon your credit worth and history. This limited offer is only available to newly opened accounts and does not include transfers form previous ORNL accounts. For every dollar spent using your ORNL card, points are designated to your account. Later on, these points are converted to rewards from the credit union’s trade partners. These include merchandise, travel and stay benefits, and a lot more. Application for this card is open to anyone who is over 18 years old. However, those who are at the ages between 18 and 21 require a proof of independent income. If this is not applicable, a parent or legal guardian should be made as a qualified joint applicant to co-sign the application. Founded in august 6, 1948, this credit union initially aimed to serve the community by starting out with employees of the Oak Ridge National Laboratory in Tennessee. The ten founders contributed $5 each in order to start the deposit base. Now, ORNL has assets of over one billion dollars. Each and every account is federally insured to keep their customer’s good faith. It has branches located all over the state of Tennessee. Have you been good this year? If your credit score is considerably noteworthy, then you can look forward to a 2012 of low interest on a credit card. Right now, Simmons First Visa Platinum Card is offering a very low rate of only 7.25% APR for those with excellent credit. * Accepted Worldwide – You can use your Visa Platinum Credit Card as an ATM from any ATM that accepts Visa. You can access these ATMs 24 hours in a day, anywhere in the world. Aside from this, you can also take advantage of the cash advance feature that is available to you at any financial institution that accepts Visa. * Get Travel Accident Insurance – For those consumers who are always on the go, it may be a relief to find out that travel insurance is offered for free whenever a ticket is purchased using your Visa card. Whether you use a cruise line, rail bus, or airline, your card can cover you for any accidental death or dismemberment. * Car Rental Damage/Loss Waiver – If a car is rented using the Visa card, the VISA Auto Rental Insurance can provide coverage for theft or a collision for up to the actual cash value required. This insurance is also available worldwide. The extra features of the card is most useful for those who go on frequent business trips or leisure travels. The card also does not offer any form of reward or cash back like most cards. However, despite the lack of rewards, consumers can definitely save more because of the low interest rate, which may prove to be more cost effective than some rewards cards. Whatever the case, this card from First Simmons have one of the lowest rates for credit cards, and may just be the card that certain people with good credit are looking for.